Bunded tanks are considered one of the safest fuel options for businesses. 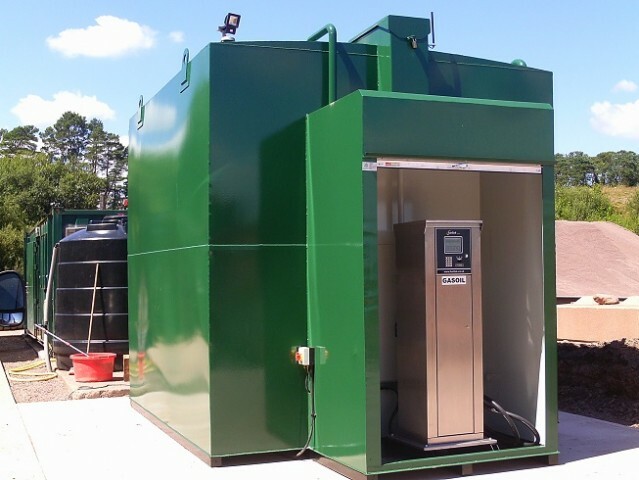 At Fueltek, our FS bunded fuel tanks are a secure, safe and cost-effective way of storing fuel onsite. As a fleet manager, ensuring your fuel is stored securely is incredibly important. A wide variety of industries benefit from using bunded fuel tanks. Take a look at how they are used within these different industries, and why they are so important for fleet managers. What Are Bunded Fuel Tanks? A bunded tank has an outer protective layer, used to protect the inner tank which stores the fuel. It is this design which results in bunded fuel tanks being one of the safest ways to store fuel. As the outer layer is designed to hold 110% of the inner tanks contents, it provides an additional safeguard if any spillages occur. Bunded fuel tanks are an essential asset within the agricultural industry, providing a huge array of beneficial factors. Being a demanding and labour-intensive industry, agriculture consists of livestock and produce which requires a large storage tank for food, water and heavy machinery. As this machinery relies heavily on fuel, bunded fuel tanks are the ideal option. Due to their secure and safe design, they ensure the prevention and protection of accidents. This reduced risk avoids any damage to the environment, livestock and produce. When thinking of the construction industry, their most common building materials come to mind, such as bricks and concrete. However, fuel is a vital necessity for most of the machinery and vehicles that are used to complete projects and provide transportation. To ensure efficiency, safety and the prevention of accidents, bunded fuel tanks are used, to store fuel. Bunded fuel tanks can help prevent accidents, such as overfill spills, and extra features such as a lockable fill point can help to prevent theft. Find out more about the benefits of bunded fuel tanks. The haulage industry is one of the biggest industries which store fuel and use bunded fuel tanks. Transportation is what haulage is about, due to this, fuel is a vital factor for the industry to function and thrive. Bunded fuel tanks provide a cost-effective solution to the haulage industry, allowing them to buy in bulk, whilst giving other advantages such as a small footprint that maximises volumes stored in a small footprint, saving on yard space used. Our bunded fuel tanks are manufactured to almost any size and shape which is required, providing standards of the highest quality. 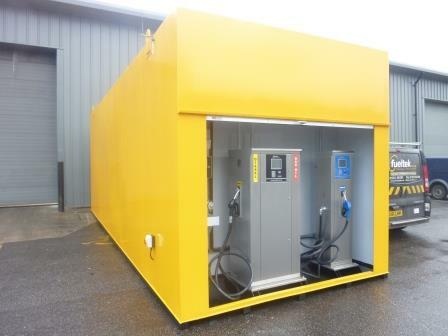 Our storage space can allow both diesel and gas oil to be stored in the same unit. At Fueltek, we understand the importance of bunded fuel tanks in your industry. We offer a complete service with our fuel management system to help you keep track of your fuel consumption. If you would like to know more about our bunded fuel tanks, or our other solutions, get in touch with a member of our team today by calling 01254 291 391 or emailing sales@fueltek.co.uk for more information.